no really, the studs!!!! We are exactly 4 weeks and 3 days into renovations. We have demo’d almost all of the downstairs. Which includes 2 kitchens, 3 bedrooms, 2 living rooms, a dining room and 2 fireplaces. 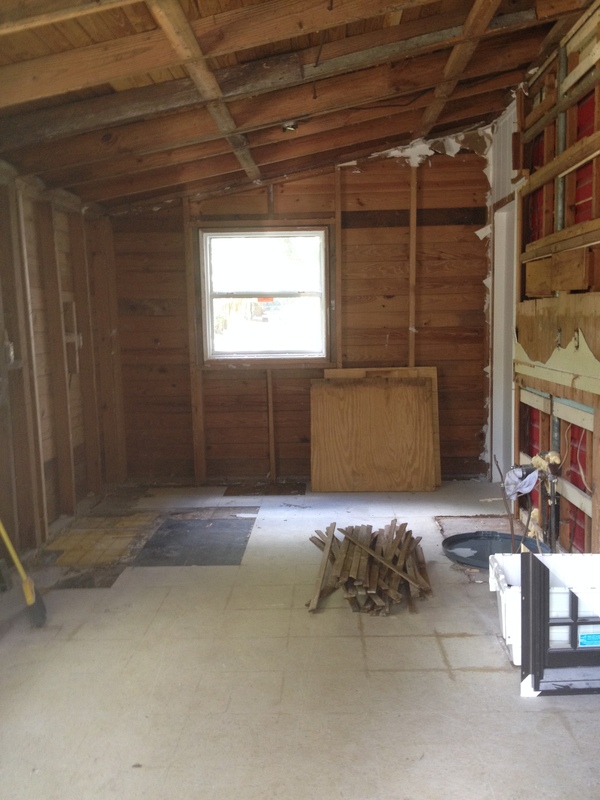 Wait till you see the fireplace!! The plumbing contractor has been chosen, the kitchen cabinets for the apartment have been ordered, the windows have been chosen and we are in the process of ordering, the electrician has been called, we have gotten a quote for the HVAC. Things are moving along. 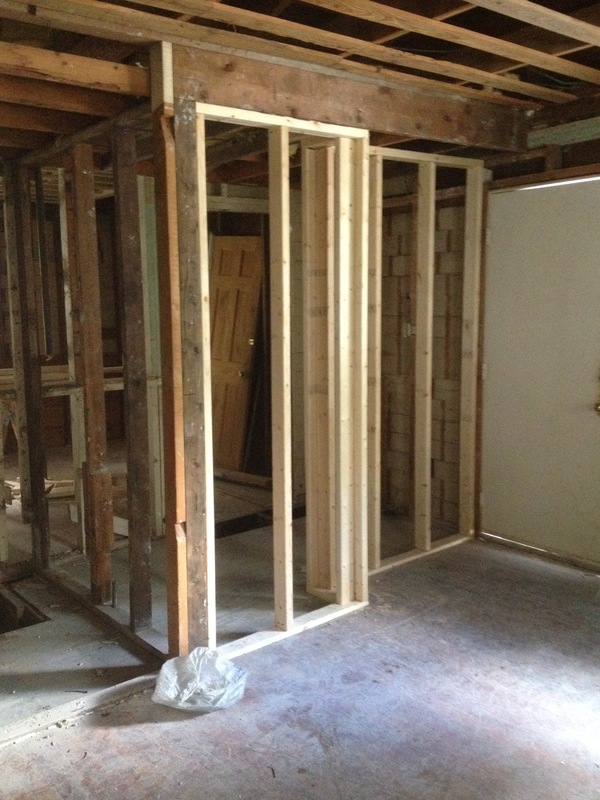 this will be the new laundry room in the big house. Yes you do see more lath on the floor. I have a sickness. this is the apartment bathroom. 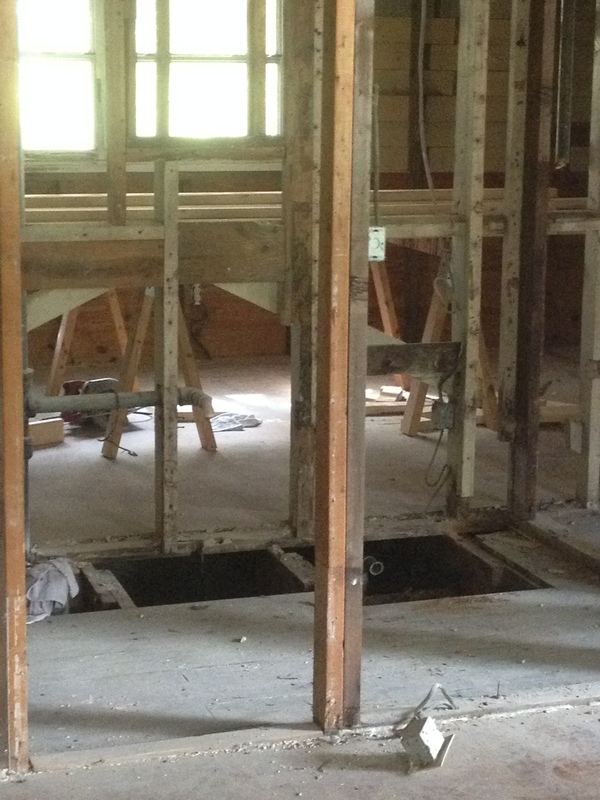 Lots of rotten wood was found in the floor. Yucky cannot begin to describe. this is the outside of the apartment laundry room. 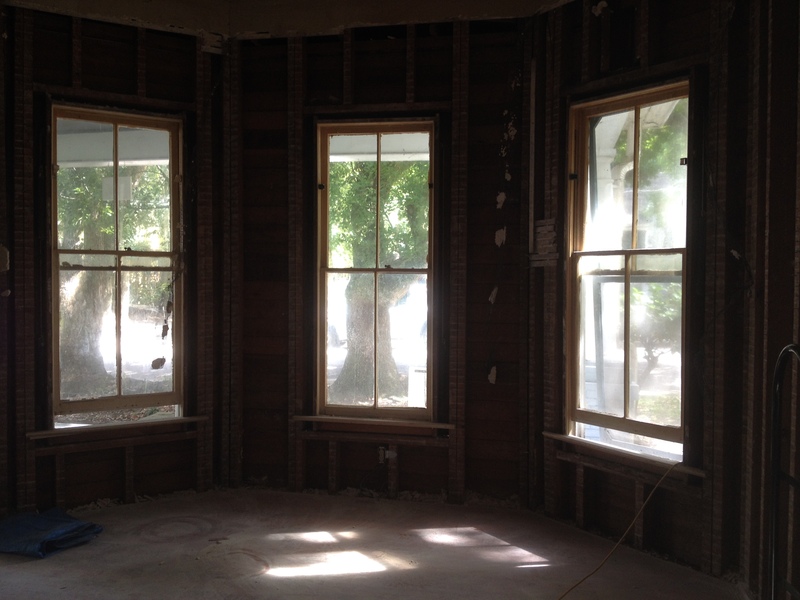 this will be the study/music room/library/coolest room with the bay window. Where is my grand piano???? ?